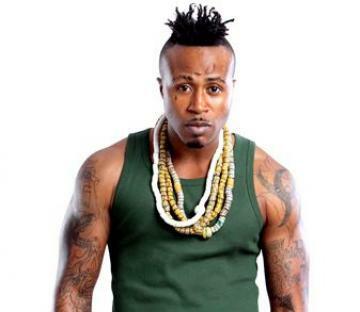 Although Promzy is yet to confirm reports he is no longer part of the VIP group. He has officially announced he has changed his name to ‘PROMZY-AFRICA’. Just when speculations started making the rounds that Promzy had left the VIP, Reggie Rockstone officially announced he is now part of the group, apparently replacing Promzy. Whatever it is, Ghanaians are still waiting for a confirmation from Promzy Africa who rather decided to release a Christmas song on Wednesday for his teeming fans and Christians to celebrate and enjoy the Yuletide season. The song which is titled “Have Fun,” thanks God for good health and inspires listeners to have fun, despite the problems they may be facing. The song was released online at http://limelinx.com/koxa last Wednesday and subsequently shared on the musician’s Facebook wall and other social networks, where thousands of music fans downloaded it. “Be careful who you share your weakness with…Some people can’t wait for the opportunity to use them against you. Merry Christmas,” Promzy-Afrika advised his fan base on facebook.com yesterday. The song is the rapper and singer’s second release after his supposed exit from VIP. His first single titled, ‘Free Your Mind’ was leaked and has since received massive airplay. This entry was posted in Downloads and tagged Africa, Christmas, Christmas music, Free Your Mind, Ghana, Reggie Rockstone, VIP, Yule.